It’s a superstar lineup of some of the best in the Bay Area and beyond, all centered around the show that many of us hold near and dear to our hearts. 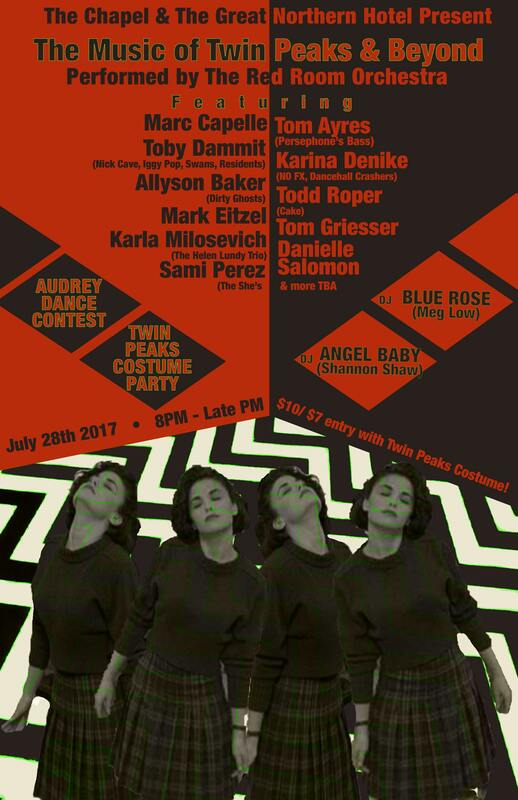 The night also includes a Twin Peaks Costume Party and Audrey Dance Contest (DJ’d by Shannon from the Clams), and anyone in a Twin Peaks costume will be given an entry discount. RSVP and invite your friends here, and get advance tickets here. BONUS GAME: One of these “related posts” is actually related to the TV show! Find it!! !